Pirates & Privateers : Who was Charlotte Berry? Thank you very much for your site! It is excellent. Question of Brigitte (10.16.2015): Who was Charlotte Berry? Thank you very much for your site! It is excellent. A: Charlotte de Berry was born in England in 1636, followed her husband into the navy disguised as a man. She was captured by a captain who was leaving in the direction of Africa. 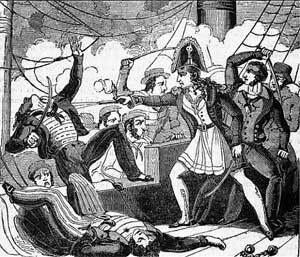 She managed to organize a mutiny against the captain and cut off his head with a knife. She became a good pirate captain and crossed the African coast to capture and plunder gold loaded ships.